As every accountant & bookkeeper knows, the holiday period can be a frantic time. The following article is a great series of quick tips & tricks to help your clients, and yourselves, get the most time away from the books these holidays! With the festive period right around the corner and an influx of lunches, parties and gifts the expenses quickly rack up... So now’s the time to get organised! We’re on a mission to make bookkeeping effortless, so here are our tips to ensure you can fully embrace the holiday spirit! 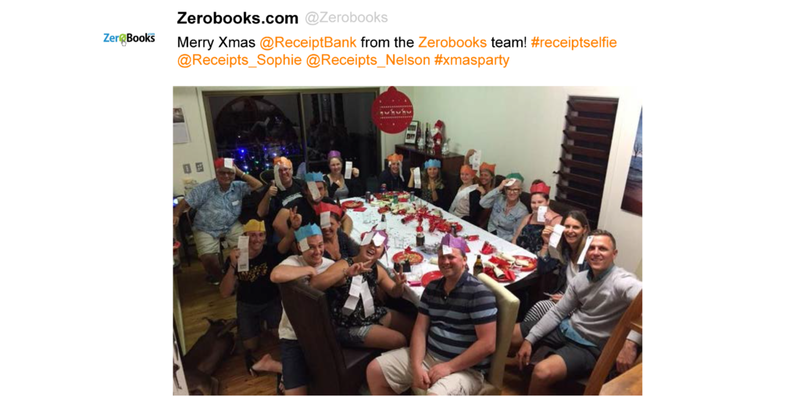 Take a photo of your party expenses - never lose a receipt again! How much time do you spend chasing down lost receipts? With our mobile app simply pull out your phone and in 3 quick steps - open, snap, submit straight to Receipt Bank. Capturing your receipts and invoices easily ensures you have all the corresponding images when claiming the expense. Creating an employee expense reports is now even easier! With clients to entertain and office treats to buy, your employees can often incur more expenses than normal. Now you can turn these separate receipts into expense reports in mere minutes! Automate more so you can enjoy time off! Your accounts payable will continue to build up even while you’re out of the office and no one likes to be greeted with piles (even if they are digital piles) of bills and invoices. Receive a regular power or phone bill by email? Ask your supplier to email it directly to your Receipt Bank email address. Then set up a couple of quick rules to code and publish the bill to your accounting software. So within a few hours of it being raised it’s ready to be paid!